Do you have a bucket list? Do you know someone who has a bucket list? What if you had to complete that person’s list? What if that someone is NOTHING like you? Nothing at all like you. And dead? When Rebecca Blue (known as ‘Rebel’) sets out to finish the terminally perky Kennedy Green’s bucket list this is the exact situation she’s in. And what starts out as a bit of stubborn turns into new adventures and some new ways to look at life. LOVED this book!! So did everyone else who read the advance copy we got! Give it a read and let us know what YOU think. 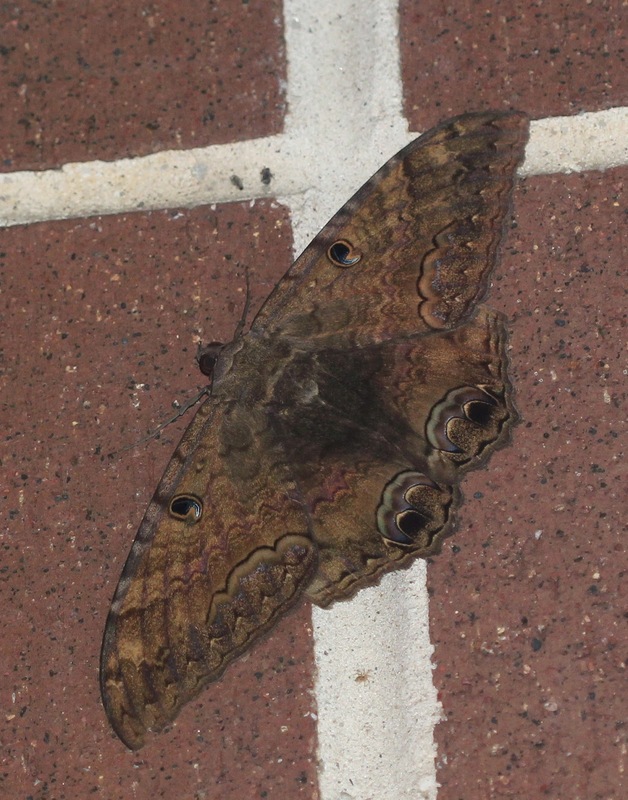 A Virginia Rarity at the Chesapeake Central Library: A Black Witch Moth! The Chesapeake Central Library where I work held its annual “Monsterfest” program on October 5. On that day the library was filled with horror and supernatural enthusiasts, vendors, speakers, and panelists, many of them dressed up as their favorite monsters, ghouls, manga characters, and an impressive array of otherworldly creatures. It’s was quite an event! What makes this moth’s appearance even more “spooky” is that it is extremely rare in Virginia, with only a handful of historic records of its occurrence here. The moth’s home is in Central America and Mexico, and in most years they move into southern Texas. Once the rainy season hits Texas in June, the moths sometimes wander further north into the United States and are mostly recorded in Texas, Florida, and the far southern states through October. During outbreak years when the moths disperse north in larger numbers than usual, a few individuals have been recorded as far north as Canada, although they still are extremely rare north of Texas. As stated above, Virginia has only a small handful of historic records of the moth’s occurrence. A few might enter Virginia every few years, but only 3 or 4 (?) have ever been documented. Virginia Department of Conservation and Recreation, and to a Texas entomologist who tracks the movements of this species and requests reports of any sitings outside of Texas. There is much legend and folklore associated with the Black Witch Moth, undoubtedly because of its size and dark, murky coloration. One of the legends in Mexico is that a sick person will die if the moth enters his house. A variation on this legend in southern Texas is that death only occurs if the moth flies in and visits all four corners of the house. These legends have evolved into a joke that if a Black Witch Moth flies over your head, you will lose your hair! Another legend: if you see one of these moths, it means someone has cursed you. There are some “good fortune” legends as well; in Hawaii, the moth is the embodiment of a loved one who has just died. In the Bahamas, it is said that if a moth lands on you, you will come into money. And in South Texas, some say that you will win the lottery if a moth lands above your door and stays a while. 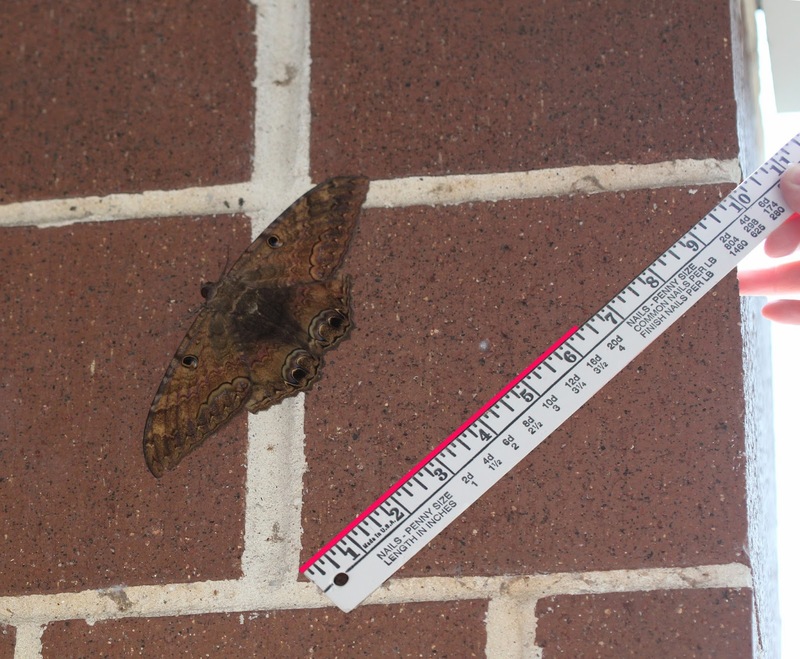 I looked for “our” moth again the day after Monsterfest, but it had disappeared during the night. It was a real treat to have hosted such a rare and beautiful creature, if only for a day or two.